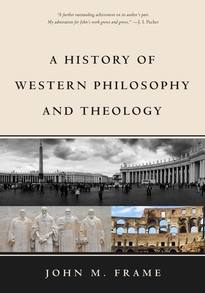 A Brief History of Thought by Luc Ferry is a fascinating account of the history of western thought. Ferry begins by answering the thorny question, “What is philosophy?” One of the answers that emerges has to do with the so-called quest for salvation. Ferry brilliantly surveys the history of philosophy and presents various answers to the question from the ancient Greeks to the Renaissance and Enlightenment thinkers, and concludes by examining the thought of Nietzsche and Heidegger. Ferry demonstrates how Christianity dominated and displaced Greco-Roman pagan thought and played a key role in the history of ideas. While Ferry does not accept the conclusion of historic Christianity at the end of the day, his honest and open-minded treatment of the dominant philosophical questions is commendable and encouraging. Strawman arguments are nowhere to be found in this work. At play is an author who is honestly wrestling with ideas and assessing the facts as he sees them. The broad sweep of historical thought that he presents is very helpful. Dr. Dinesh D’Souza serves as the President of King’s College. He is also a prolific writer. His newest work, Godforsaken picks up the theme of human suffering and the problem of evil. It is clear from the outset that the author is familiar with the various attempts to resolve the so-called “Achilles heel of the Christian faith.” Unconvinced by the typical atheistic approach to the problem, D’Souza’s goal is to provide an answer that is both rational and practical. D’Souza’s approach to the problem of evil appears to be unique. He argument is essentially this: “God is the divine architect, the Cosmic Designer … [He] wanted to create conscious, rational agents who could understand his creation and also freely relate to him. Given God’s objective to make humans, God constructed the universe not in the best possible way, but in the only way that it could be constructed. In other words, God chose the sole option available to produce the result that he wanted.” D’Souza labels his defense the “Only Way Argument.” The author is totally unconvinced by the traditional approaches to theodicy. Our task is to determine if his approach is any better. D’Souza’s theodicy is based on the philosophical notion of free will. As such he rejects all forms of determinism, even so-called soft-determinism. The author shows his hand in chapter five: “If God truly has foreknowledge, how is it possible for us to choose differently? If God knew at the beginning of Creation that at a given point in time, I am going to write this book, then it seems that I cannot choose at that particular time to write a different book instead.” This notion, otherwise known as libertarian free will is the standard Semi-Pelagian notion that has crept into the church and has gone largely unchecked. D’Souza hints at a compatibalistic understanding of free will – where God has comprehensive foreknowledge of free choices, yet allows the creature to make a meaningful free choice (although he does not use the term). But he rejects what he calls a “halfway concept of free will” and argues that such a notion is “hardly satisfactory.” Hence, he rejects the biblical notion of compatibalism. Dr. D’Souza is a fine writer. He clearly articulates his views and has a tremendous grasp on the history of intellectual thought and understands the dominant arguments that are emerging from the so-called “new atheists.” While I appreciate his efforts, his arguments at the end of the day, remain mostly unconvincing. The first glaring weakness with Godforsaken is an approach that appears to render the Scriptures as secondary. He admits, “It is written by a professed Christian, yet its purpose is to examine the problem of evil and suffering not primarily on the basis of revelation or sacred authority but on the basis of reason, science, and experience.” While his approach is understandable, he jettisons the very basis of his hope. Surely, he starts off on the wrong foot. The second weakness is a radical commitment to libertarian free will. Indeed, the entirety of the book leans on the frail fabric of free will. And in typical libertarian fashion, the free will of man is pitted against the absolute sovereignty of God. For example, the author essentially argues that God lacks comprehensive foreknowledge. “Think about it,” says D’Souza. “If God truly has foreknowledge, how is it possible for us to choose differently” (p. 85). The author borrows the libertarian musings of Boethius: “No longer do we have to worry that God, in knowing the future, is in some sense controlling the future. God is omniscient, but this does not prevent free creatures from making their own choices that God knows about but does not dictate.” Apparently, his prior commitments have clouded his biblical judgment. He appears to posit a “take it or leave it” mentality. Either there is libertarian free will or there is no free will whatsoever. That is to say, if there are any restrictions on free will; if one does not have the ability of contrary choice, it follows that free will totally evaporates. This “all or nothing” mentality fails to take into account the biblical position of compatibalism; the view that presents a God who ordains everything that comes to pass and allows creatures to make free choices. Since the author does not distinguish between God’s will of command and God’s will of decree, he falls stumbles at another point that concerns suffering. For instance, he posits this crucial point: “Just as man’s use of free will can produce results that were not part of God’s plan or purpose, so the necessary structure of the universe can result in miseries that were also not intended by God” (176). One wonders where the cross of Christ fits in this confusing scheme. Surely, the most wicked event is the crucifixion of Jesus, the unjust punishment of the only innocent man in the universe. Yet it appears as if God is taken off guard. It appears that something may have happened that he never planned. And all these things occur to safeguard a commitment to libertarian free will. This kind of logic must be immediately discarded in universe that is sovereignly controlled by God! Third, while the author waits until the end of the book to address his beef with Reformed theology, the juices of anti-Calvinistic bias are simmering and quite frankly, render the “stew” unsavory. For instance, he falsely caricatures the Calvinistic notion of double-predestination and in the process he charges God with sending people to hell who had no intention of going there. D’Souza minces at a God who may offer grace to some but withhold it to others. He writes, “I find this concept of God extending grace to some while keeping it from others to be unworthy of God. It is an idea not lacking in justice, perhaps, but certainly lacking in benevolence.” He continues by laying his soteriological cards on the table: “… The point seems to be that God has given to every person the grace, which is to say the ability, to decide either way.” These arguments are nothing new. Arminians have been advancing the “prevenient grace” argument throughout church history. What is disturbing is – why is the argument posed here? What does this have to do with undermining an atheistic worldview? The author is obviously knowledgeable and seeks to tear down the stronghold of atheism and provide a satisfying answer for the problem of evil. His writing is engaging. He is fair-minded and congenial. He offers several fascinating insights but his reasoning, in the final analysis appears to fall short. Instead of unifying the tension-points of faith and reason that have been at odds since the days of the Enlightenment, he actually escalates the war that pits reason against faith. 1. Shall I question? Shall I go on this quest for truth at all? 2. If I question, is there hope of answers, or should I be a skeptic? Is there objective truth? 3. If there is any objective truth, is there objective truth about the meaning of life? 4. If there is an objective truth about the meaning of life, is it that life is meaningless? 5. If life has real meaning, is it spiritual and not merely material? 6. If it is spiritual, is it moral? Is there a real right and wrong? 7. If there is a real right and wrong, a real moral meaning, is it a religious meaning? Is there a God? 8. If there is a God, is God immanent (pantheism) or transcendent (deism), everywhere or nowhere? 9. If God is both immanent and transcendent (theism, creationism) his prophets, his mouthpiece to the world? 10. If the Jews are God’s prophets, is Jesus the Messiah? The traveler encounters a wide variety of philosophers, one of which is Protagoras the Sophist. He maintains, “Truth is subjective, not objective … Whatever you believe is true, is true for you. Man is the measure of all things.” Thus Protagoras promotes the lie of relativism so prevalent in American culture. The next traveler on the path is Diogenes who admits that there is some absolute truth. He also admits that “it is self-contradictory to say otherwise.” Socrates confronts the cynicism of Diogenes by showing the futility of the “proving is believing” model. The thoughtful friends continue their philosophical journey and eventually encounter the relativistic worldview of Thrasymachus. His worldview that embraces the notion that “there is no natural law of good and evil” is immediately exposed. Xenophanes is the next philosopher to appear on the trail who magically transforms into Nietzsche, the quintessential atheist. The travelers are unimpressed with the antics of Nietzsche, so they scurry down the path. Parmenides, who some consider to be the first philosophical pantheist appears next alongside Aristotle, the “first philosophical deist” (Kreeft compares him to John Locke and Immanuel Kant). The journey ultimately leads to the foot of three old crosses. The middle cross pointed to the “King of the Jews.” C.S. Lewis appears and reveals that his responsibility is to point people to the truth. Lewis turns the attention of the traveler to the Messiah: “His claim on you is to be more than your teacher, like Socrates, and more than your prophet, like Moses. His claim is to be your God.” Lewis continues his dialogue with the traveler and unpacks the gospel message in a way that is theologically correct and philosophically pleasing. Kreeft brings the journey to an end in an epilogue that finds its culmination in the life, death, burial, and resurrection of Jesus Christ. He points readers to Christ, the true source of freedom and forgiveness! Most people would immediately turn away upon seeing some of the philosophers presented in Kreeft’s book. And people are generally intimidated by emerging worldviews. However, Kreeft’s work enables readers to interact with ancient worldviews that have surfaced in our culture and effectively dismantles erroneous arguments and unbiblical presuppositions. His narrative forces readers to choose between worldviews when faced with a fork in the road. As usual, Kreeft’s work earns high marks for creativity and clarity. The book is both educational and witty. Postmodern pilgrims (and college students) need Kreeft’s book in their arsenal, especially in the difficult days ahead.